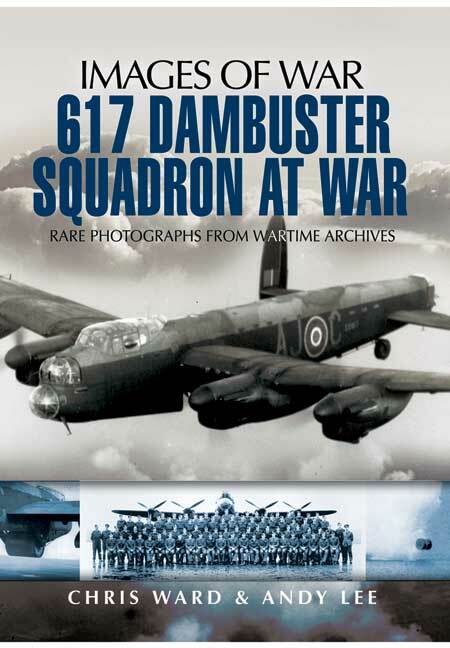 You'll be £4.99 closer to your next £10.00 credit when you purchase 617 Dambuster Squadron at War. What's this? No. 617 Squadron RAF Bomber Command is world-famous for its daring raids on the Mohne, Eder and Sorpe Dams, the Dortmund-Ems Canal and the attacks on the German ship Tirpitz. This book contains rarely seen photographs of the squadron's aircraft, crews and other behind-the-scenes operations. Each image is accompanied by a lengthy caption that convey the location and history surrounding the subject in question. Chris Ward has been writing about RAF Bomber Command in WW11 since the mid nineties. He began with his highly successful Bomber Command Squadron Profile series of spiral-bound publications. It was during this period that Andreas Wachtel contacted Chris for information for a book he was writing, and the two became the closest of friends, to the extent that they regard each other as family. When Chris began working on his first major work, Dambusters, The Definitive History, which was published by Red Kite in 2003, Andreas took on the initial research in Germany and Holland. In this way Chris and Andreas made available to others the Dams raid crash sites of Maudslay and Barlow, which had never previously been identified, and they also publicised the scene of Astell’s crash, which is maintained by a local historian. Through this research Chris was able to correct long-held misconceptions about the circumstances of the crashes. Chris was the first to research in depth the events of the Dortmund-Ems Canal disaster, which took place four months after the dams. He and Andreas discovered the crash sites of Holden, Allsebrook, Wilson and Divall, which had never previously been identified, let alone documented and surveyed. In 2013 a number of historians in the German town of Nordhorn released a book about the air war as experienced by the local community of Bentheim on Germany’s border with Holland. The inspiration for this book, which is a massive tome involving hundreds of hours of work, was Chris’s account of Holden’s crash on the farm of the Hood family, which resulted not only in the deaths of the eight-man Lancaster crew, including four members of Guy Gibson’s Dams crew, but also Frau Hood. 70 years to the day after this tragedy, on Sunday 15th September 2013, Chris and Andreas were guests of honour at a civic reception in Nordhorn to release the book. There was also a ceremony at the crash site beside the Hood farmyard, attended by the whole local Hood family, local dignitaries, the authors of the book and many interested spectators. Another Chris Ward first was his enquiry into the events on the German side during the final attack by 617 and 9 Squadrons on the Tirpitz in a Norwegian fjord in November 1944. Kurt Schulze, who was a pilot on the nearby fighter airfield at Bardufoss at the time, sent Chris a copy of the transcripts of the German Courts Martial, which took place six weeks after the loss of Tirpitz to apportion blame. Chris translated them, and devoted an entire chapter in his original book and the P&S update to the reasons behind the German failure to intercept the approaching Lancaster force. Chris has since worked on a series of books for P&S detailing the histories of the bomber groups. Those on 3, 4, 5 and 6 Groups have just been joined by his latest, 1 Group. He is currently working on an updated series of Bomber Command Squadron Profiles, which P&S have undertaken to publish in hardback.